Kids shoe size chart at a glance: Use these shoe size conversion charts for kids and easy-to-use kids shoe size calculators to convert from the length of your kids’ foot in inches or centimetres to US-size, UK-size, European sizes and International sizes. See our how-to section to understand how to read a kids shoe size chart and for an easy measuring guide and tips + tricks to ensure that your kids’ shoes fit perfectly. 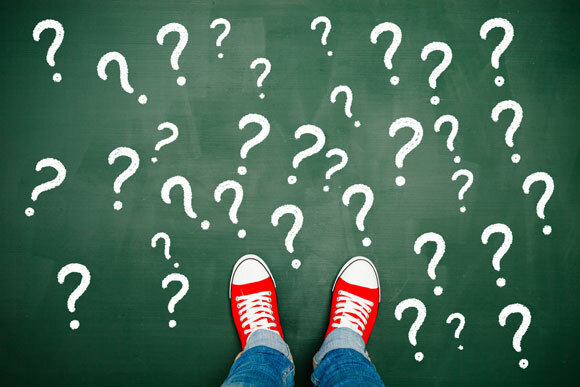 What Kind of Shoe is Right for my Child? Ill-fitting children’s shoes can lead to foot deformities and other serious health issues. Children’s feet need room to grow. However, up to 50 percent of all children are still wearing shoes that are too small; when they grow up only one third have healthy feet. The most common cause of this is wearing shoes that are too small for their feet! Often, children don’t feel when the shoe is pressing against their toes because the fabric is still very soft. 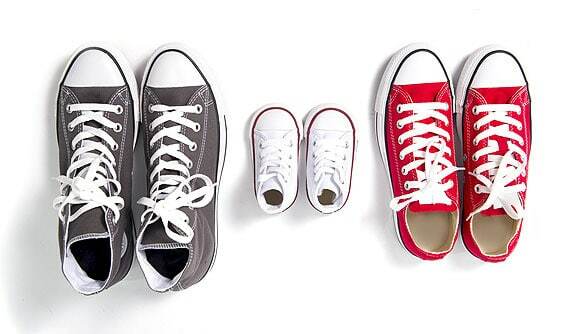 Use this easy to use tool to find the right shoe size for your offspring: European size, UK size, US size, German size, Brazilian size, Japanese size, Korean size, Australian size, and Mondopoint shoe sizes. You can enter either inch or centimetres to calculate which shoe size fits perfectly. Measure the feet in the afternoon, because they will become wider and longer during the day. Your child should be standing instead of sitting during measurements, as this also affects the size of the feet. 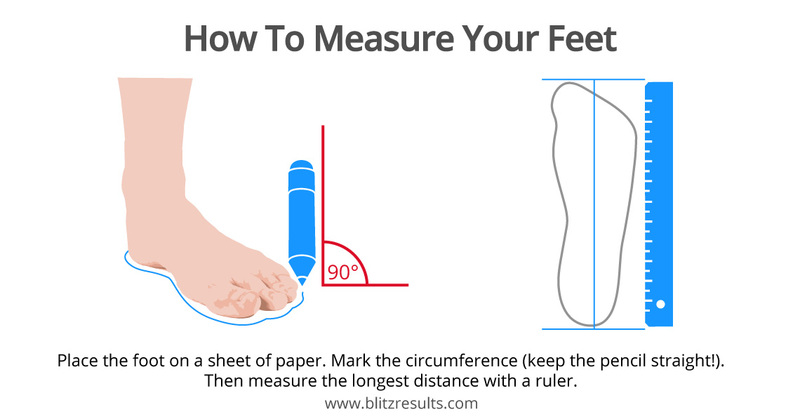 Upon measuring, place the foot on a tape measure and measure it from the heel to the longest toe. The measurement from the heel to the longest toe is your child’s shoe size. Always measure both feet: differences in length can occur. A difference of 6 mm in length is quite normal, but this corresponds to a whole shoe size and must be taken into consideration when buying! Always make your shoe purchases according to the longest foot! Check for measurements every 2 months – because children’s feet grow amazingly fast! It’s very easy to convert shoe sizes from the length of foot in inches/centimetres or US to European shoe size or UK shoe size. Just pick the right column from the sizing guide above. If you know that your child has a 5C in U.S. Size, pick the “US shoe size” column, and look there for the row with the corresponding numbers (in this example: UK size 4 or Euro Size 20). The growth of children’s feet is not only very individual, but also very rapid. Children’s feet, especially infants and toddlers, can grow by one inch between the age of four to six years. Prefabricated shoe size charts, therefore, do not have to match the development curve of your child’s feet. If you want to find the perfect shoe size for a baby, infant, toddler or little kid, the infant’s shoe size chart above will help you with kids size conversion. Whether you are looking for little kids shoe sizes or big kids shoe sizes, just find look for the age of the child in the first column (labeled with “Age”). Then move to the right to see a) how long the feet of babies or infants are in average at that age and b) infants shoe size corresponds to this foot length. Please note that chart holds baby shoe sizes as well even though babies do not need shoes yet. Shoe sizes for men and women are here. Sizing Guide: How much Space in Children’s Shoe does Toe need? Children’s shoes should fit well. Most parents act in an exemplary manner when buying children’s shoes and especially look for enough “wiggle room” for the toes in the shoe. But did you know, however, that at least 0.5 – 0.7 inches (12 to 17 millimetres) should be added to foot length? That is how much space your child’s foot needs to be able to roll in the shoe while walking and running around. Whoever thinks that shoe size information on shoes is always right, is wrong. There are no mandatory standardizations on which manufacturers have to orient themselves, which leads to significant deviations of up to 1.5 numbers. 91 percent of the shoe sizes indicated do not match the internal length of the shoe and are smaller. Therefore, parents cannot rely on the correct indication of shoe sizes and must instead ensure that they take measurements themselves. Even if the shoe looks sweet and is the correct size according to the manufacturer, it does not mean that the shoe is the right choice for your child. Stiff shoes – an ordeal for feet: It is not only small shoes but also stiff ones which hinder the development process of a child’s foot. Whether your child’s foot can be forced into the shoe is not a criterion, because their feet are so soft and malleable that they fit in almost every shoe. Consequential damage such as sinking and bending feet occur as a result, as well as postural defects and back injuries. Children’s shoes should not hinder your child’s footsteps, but leave free space for their feet to move. Shoes should allow room to breathe: Only a footbed made of leather and natural materials is suitable for children’s shoes. This is because the foot sole lets the foot breathe and can prevent it from sweating. Synthetic fabrics, on the other hand, make children’s feet sweat, which stands in the way of their foot health. In order for the child’s foot to develop healthily, it not only needs freedom of movement but air as well. Rubber boots for everyday life? 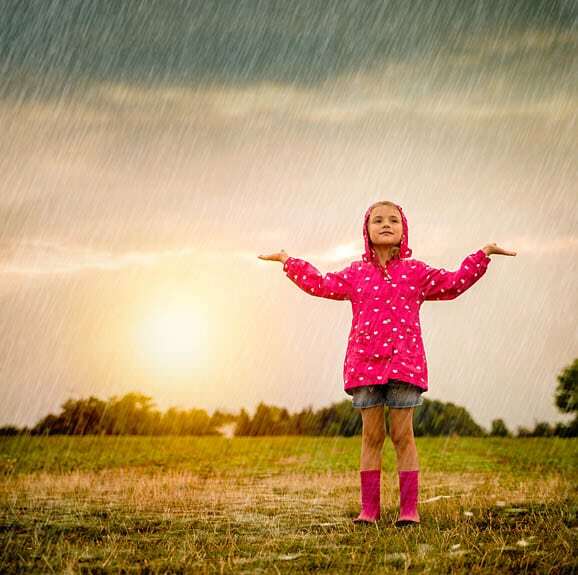 Rubber boots should only be used when it is really wet outside – they are not suitable everyday shoes, as they usually make feet sweat due to reduced respiratory activity. The boots should be made of natural rubber rather than PVC. This is because both the manufacturing of PVC as well as the printed motifs can carry harmful pollutants along with them and to the feet of your child. What is the perfect shoe size for my child? The appropriate shoe should be longer by roughly one inch based on the inner measurement of the larger foot. If you deviate from this value and try on smaller shoes, you may have to buy new shoes for your child again soon. It is best to buy shoes in the afternoon because feet become wider and longer than they are in the morning. Also, different manufacturers have very different sizing. Try several models with your child and let the salesperson carry out an additional indoor measurement. When your child learns to walk, shoes are still not needed. In this case, running socks are completely sufficient. Consequently, no shoes are necessary for babies and infants. If there are no specialist shops in your area and you prefer to buy online, an inner shoe measuring instrument is a good alternative to measurement in specialized shops. The price ranges from 10-15 USD. This money is well invested because you’ll know the exact inner shoe size. Is Wearing Used Shoes Okay? Used shoes can be worn and offer an excellent opportunity to save money. However, you must ensure that it has an intact inner sole. If the inner sole has been severely deformed by the foot of the previous wearer, these shoes should not be worn. It is also advisable not to wear shoes with seriously worn out soles or let children with malformations wear them. However, if there are well-preserved shoes available in the appropriate size for your child, you will not only save money but also the environment. Cleaning used footwear: To be safe, shoes that have already been worn should be treated with highly concentrated alcohol or with an ecological foot disinfectant. To prevent bacteria development, the shoes should be left to dry for 24 hours. Used shoes also need to match with the clothing. Here you find everything about boys clothes sizes and girls clothes sizes. Whoever wears shoes that are too small can damage their feet. Children’s feet, in particular, need enough space to develop well, because they are in a process of growth. Children’s feet are the basis of their physiology and must be able to keep up with the whole day’s activities, whether it’s while they’re romping around, playing or sleeping. Children’s feet are still very soft and much more mobile. At the same time, they are significantly less sensitive than adult feet. The entire functional capacity of a child’s foot is only reached after several years. This also has an effect on the child’s load-bearing behavior of shoes: children do not feel it when the shoe is too small. On the contrary – if the child pushes forward, the toes are often still drawn in. The child forces their little foot into the shoe without feeling that the first signs of damage are already taking their course. Has your child ever had a shoe on the wrong foot and not noticed it? This also shows how insensitive the child’s foot is – children do not feel pain in this area. But even children’s feet especially, which are still very soft and easy to deform, soon suffer damage with the wrong footwear. Over 50% of children wear small shoes. Do not rely on how your child feels in the shoe, but rather on measurements. Check the measurement results regularly, because children’s feet grow up to three sizes per year. When to buy first shoes? It is only when your child takes their first steps that you will need to deal with purchasing shoes. In order to provide enough space for the rolling of the foot, the shoes on the inside should be 3/4 inch larger than the foot. For your child’s feet to develop into healthy adult feet, they need one thing: namely, enough space. Always buy your child’s footwear in the afternoon, because feet are slightly larger by that time of day. Also, measure your child’s feet in the afternoon and do so while they are standing, in order to determine the actual size. Only rarely will the right and left foot be the same. The longer foot determines the shoe size to be bought. With the help of an inexpensive inner shoe measuring instrument, you are always on the safe side when buying your shoes. If your child’s shoes leave less than 0.5 inches / 12 mm of space for the feet, it is time to buy new shoes. New shoes, on the other hand, should leave at least 0.7 inches / 17 mm of free space for the feet to move. Shoes should neither be too big nor too small. Likewise, stiff or airtight shoes without respiratory activity are very bad for children’s foot development. Children’s shoes should be made of soft material and allow the feet to breathe. Rubber boots are not suitable as everyday shoes. Check the smell of the shoes in store: Do they smell strongly of chemicals? If so, it is not advisable to purchase them as that would expose your child to many chemicals. Between the ages of 3 and 6, children’s shoe sizes usually only last for 5 months. Then your child will need the next size up. Check our kids shoe size chart for the right size. Your children can also wear used shoes – provided that they are not worn out on one side or that the inner sole is severely deformed. Disinfection is recommended. Your child’s feet are soft and malleable. In addition, their sense of touch is still developing, which means that children often do not feel when the shoe is too small and their feet unhealthy. Where adults would feel pain right away, children can force their feet into the shoe without even feeling a thing. Therefore, the responsibility to buy the right shoes lies with the parents! 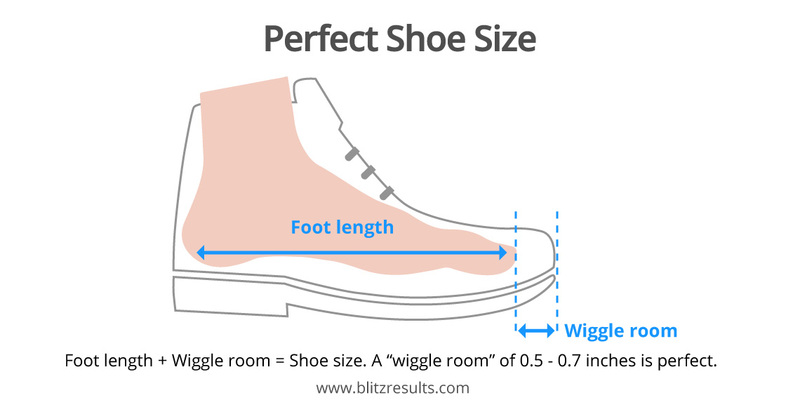 7 Sizing Guide: How much Space in Children’s Shoe does Toe need? 8 What Kind of Shoe is Right for my Child? 9 What is the perfect shoe size for my child? 11 Is Wearing Used Shoes Okay? 13 When to buy first shoes?